Lawyers Taking A Year Off? Now some folks may balk at leaving the working world for a year, afraid of what might await them when they return. Since I happen to have taken a year off back in ’88-’89 to travel (see: It was 20 Years Ago Today…), I’ve got something to say on the subject. And a little advice. And, unlike the subject of the Times piece, who wonders about the do-gooder legal projects she can engage in in other parts of the world during her year away, actually working is not part of the requirement. If there is no spouse, kids or mortgage that you need to worry about — no keys that you need to take with you — it is a once-in-a-lifetime opportunity to see and experience things that you will never get a chance to see and experience again. When you don’t have to worry about the clock or calendar ticking, you get a chance to linger and look in ways you otherwise could not. 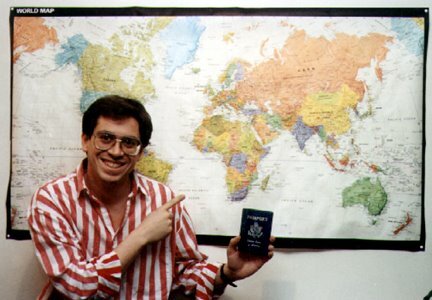 All you need are a passport, imagination and money. And Skadden is providing the money.